-In 1998 I started working in a Aveda salon as a receptionist. I was soon offered an apprenticeship. I quickly grew to love the industry. -I specialize in color and cutting. 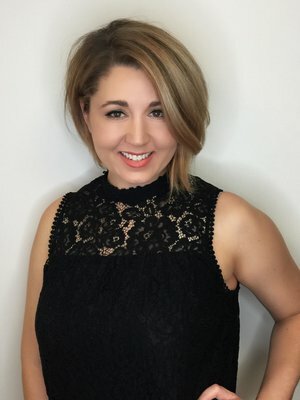 As an Aveda Color specialist with 20 years experience, I love to hair paint. I also love special event hair, such as weddings and Mardi Gras up-styling. -”Flavor of the moment” is Aveda Shampure Dry Shampoo. Air Control for Life. Prices are a la carte. Additional charges may apply for extra long/ thick hair, extra color used, and additional styling time.